Recently I came upon my youngest, Oliver, playing a game of Klask by himself. 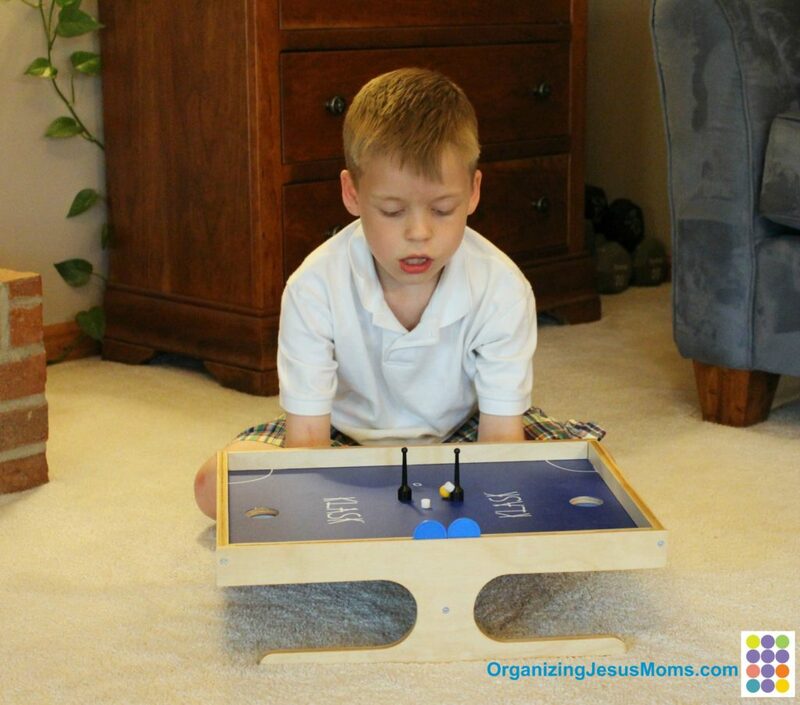 (If you’re unfamiliar with Klask, think of it as a small air hockey or fuse ball table.) There he was, sitting on the side of the game table, with one hand playing each side. I laughed and thought, Of course you are! Your little hands are in control, and you can swing the points to any side you choose. Then I was brought up short by my own thought. Many of Jesus’s followers had a hard time recognizing him after the resurrection. Isn’t that weird? Mary thought he was a gardener. The two disciples walking to Emmaus were kept from recognizing him until after he broke the bread. The seven disciples on the fishing boat didn’t know it was Him, even with his familiar request to throw their nets to the other side of the boat. They couldn’t see that their Savior, Jesus, was right there with them!